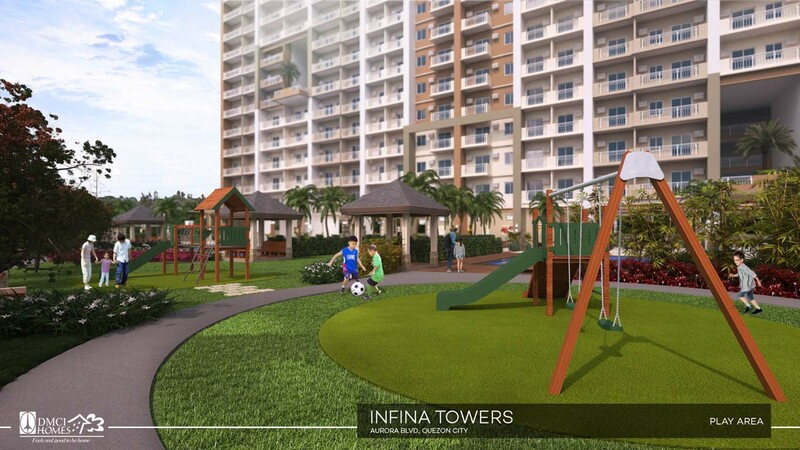 Infina Towers Condo by DMCI Homes is a two-tower high rise development with 41 levels, built in a land area of 12,701 square meters. 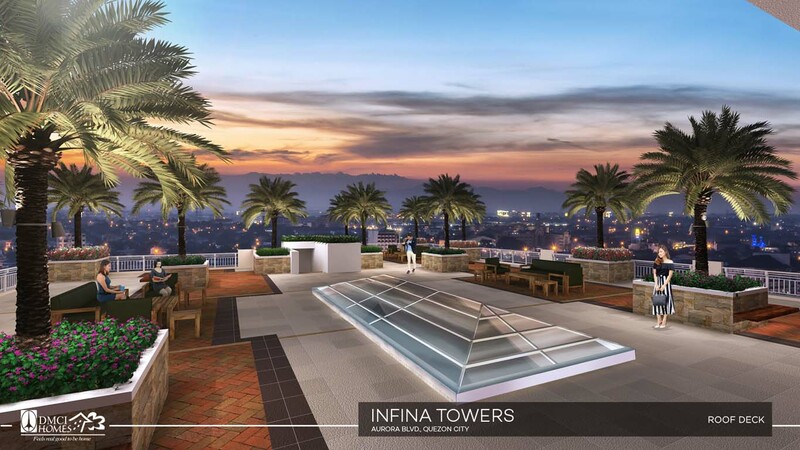 With 1,352 total units to be built, getting your own space in the heart of the city has never been so easy. 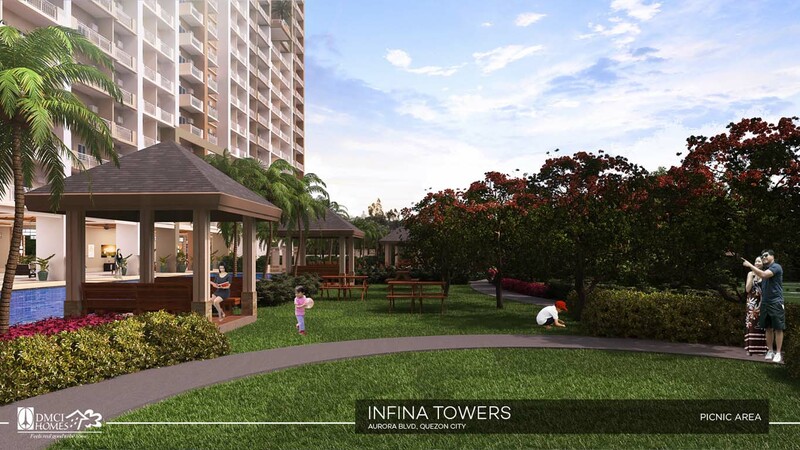 Our Condo buildings are designed the only way DMCI Homes knows how – with quality. 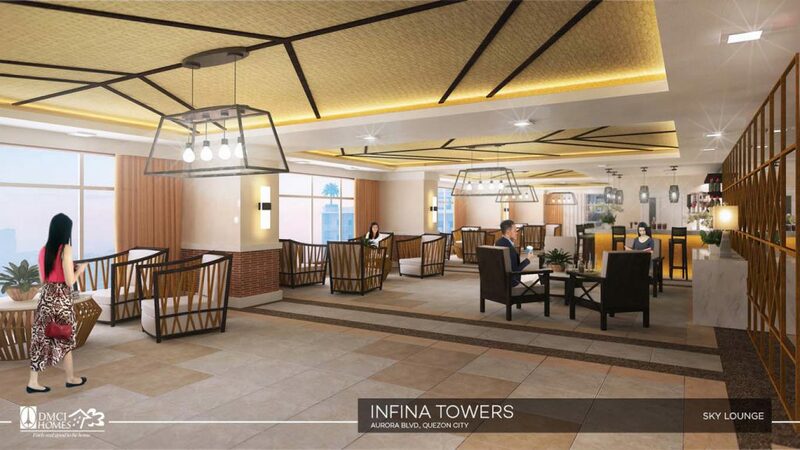 Infina Towers for sale condo also offers infinite architectural wonders, with DMCI Homes signature single-loaded corrdior which provides utmost privacy and the enhancement of natural light and fresh air circulating inside every corner of the building which limits consumption of electrical energy to the minimum. 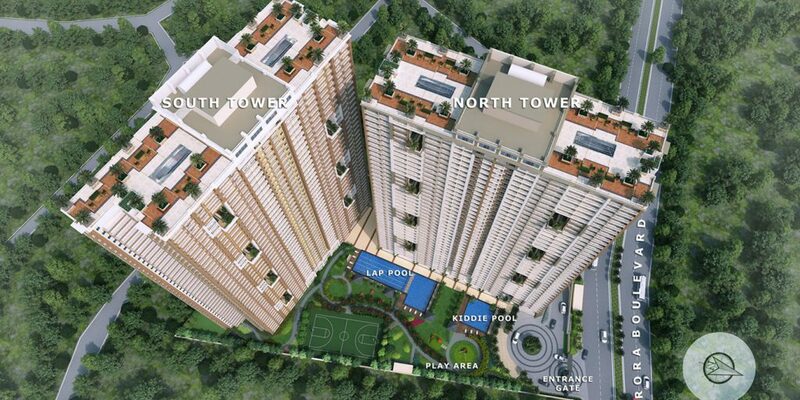 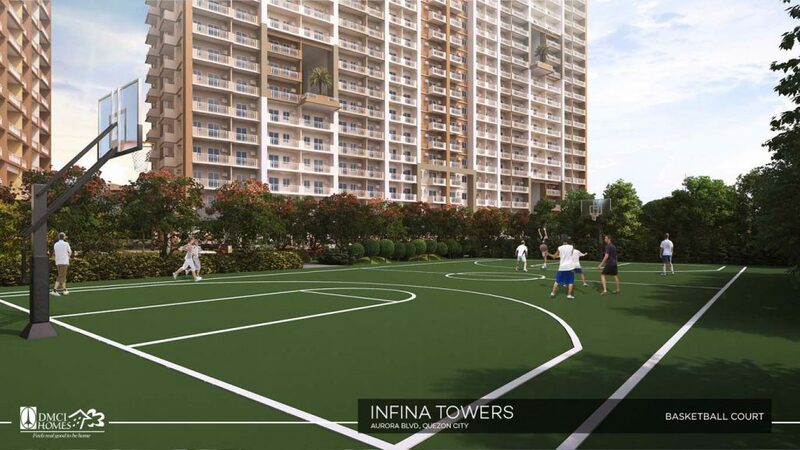 Bringing trademark innovations by DMCI Homes, Infina Towers For Sale is a low density, 41 storey condominium. 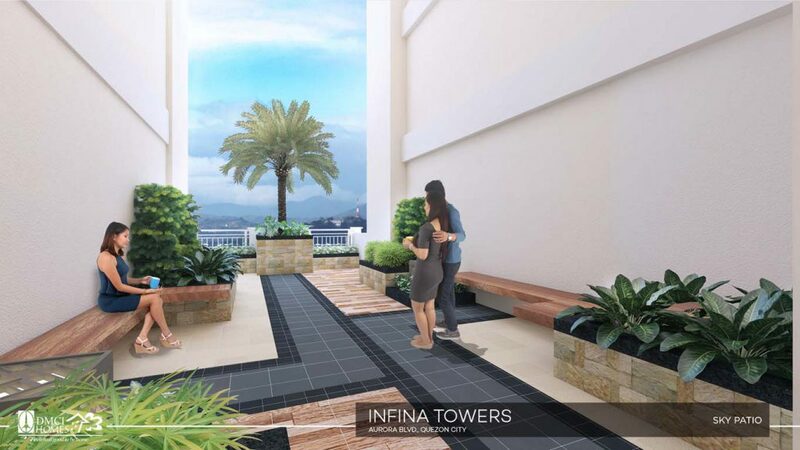 It features hallways that are single-loaded and landscaped courtyard allowing maximum flow of light and breeze into the building. 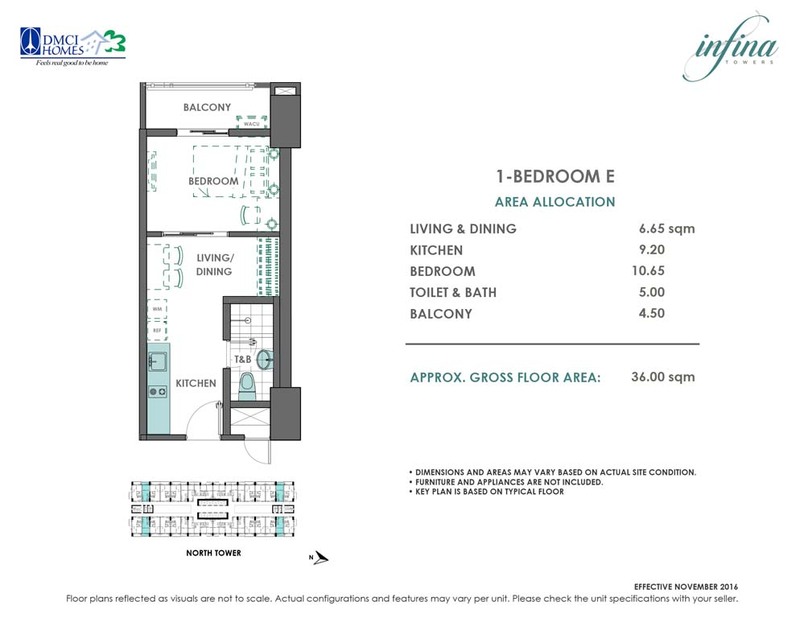 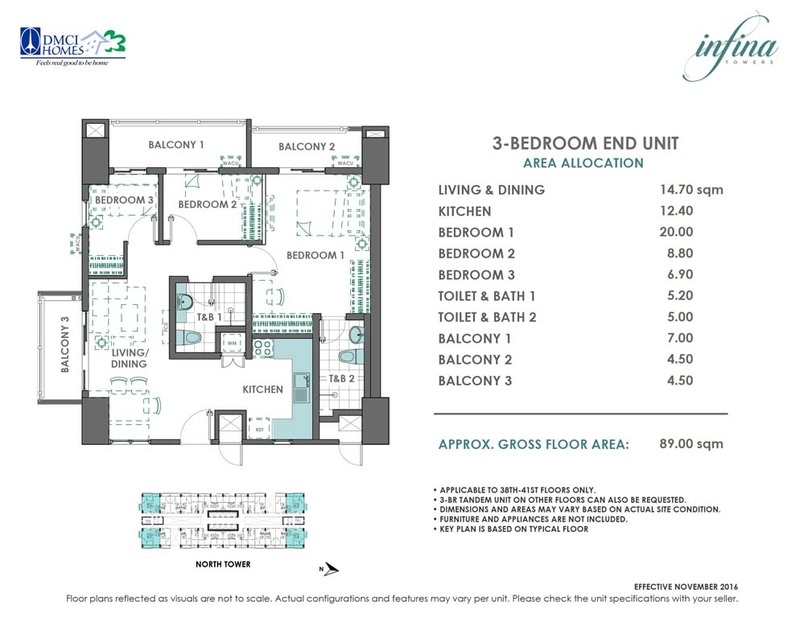 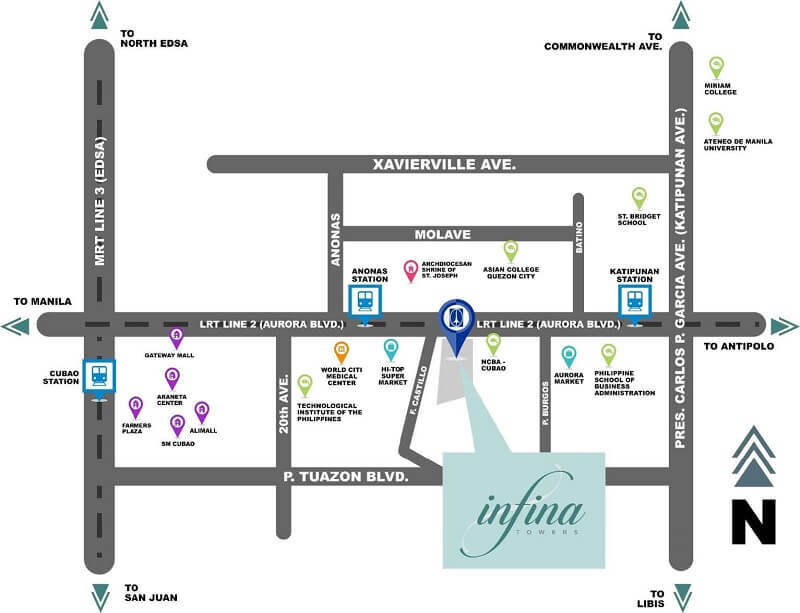 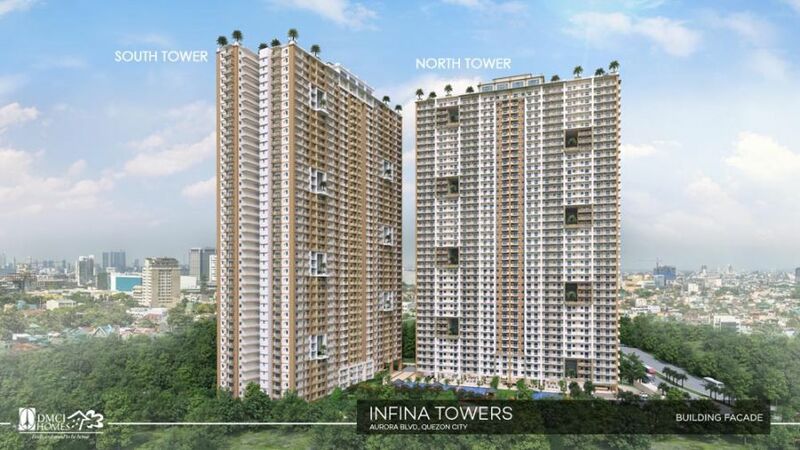 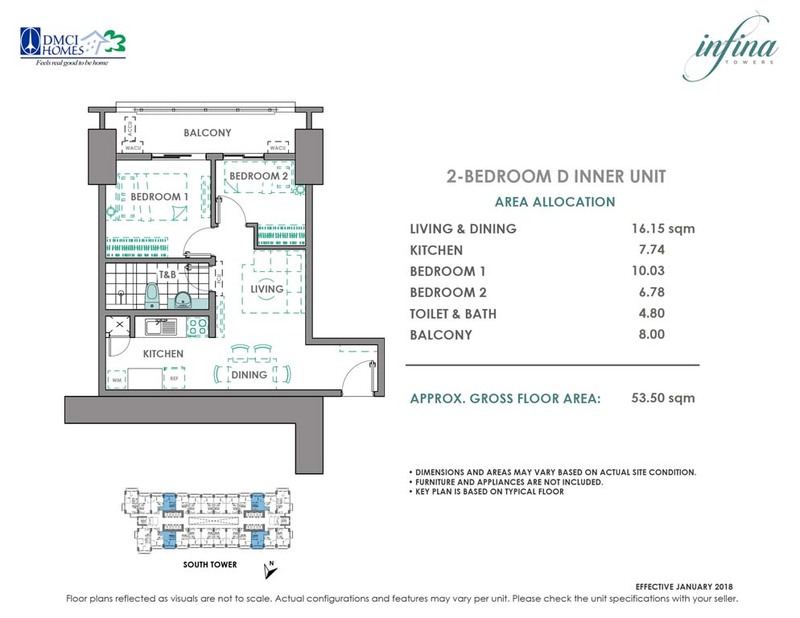 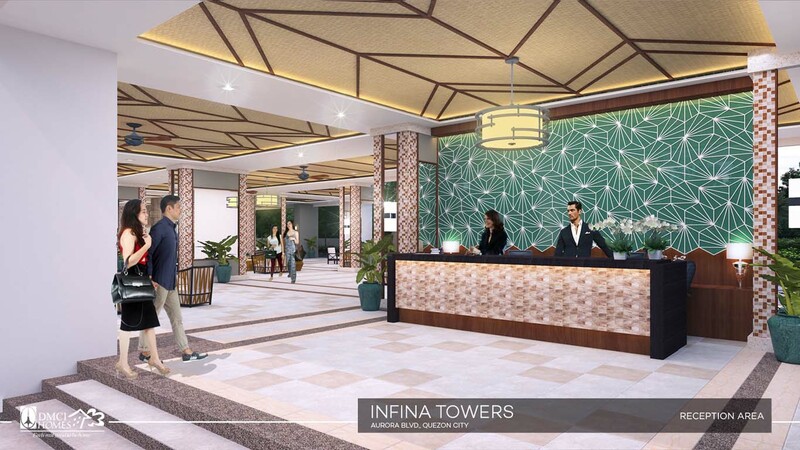 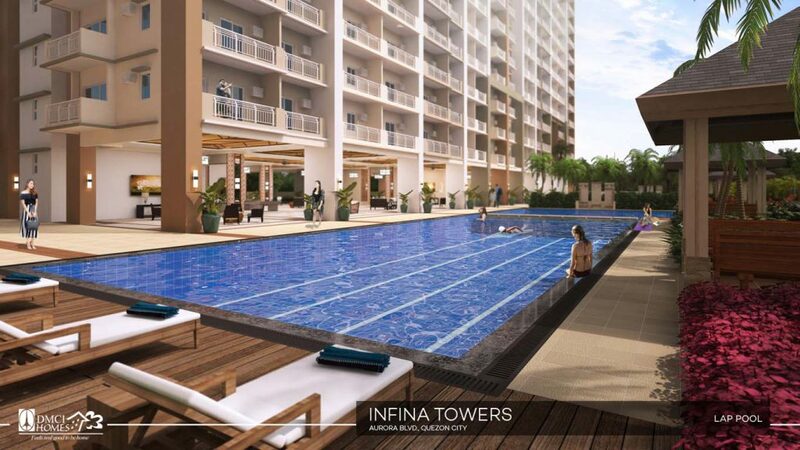 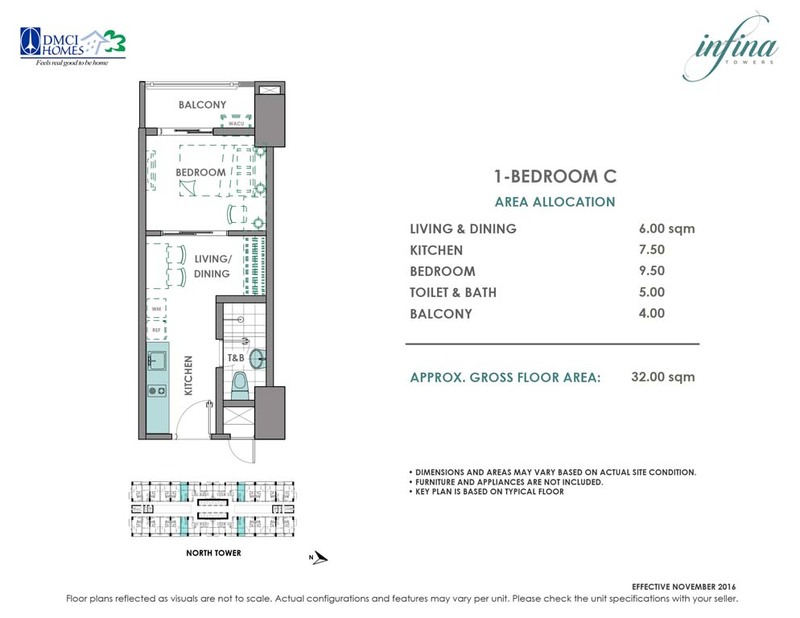 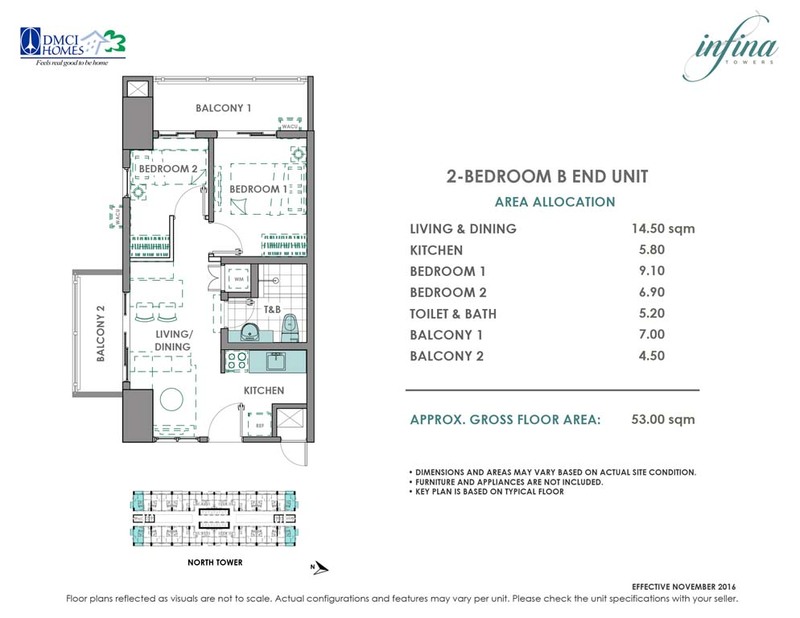 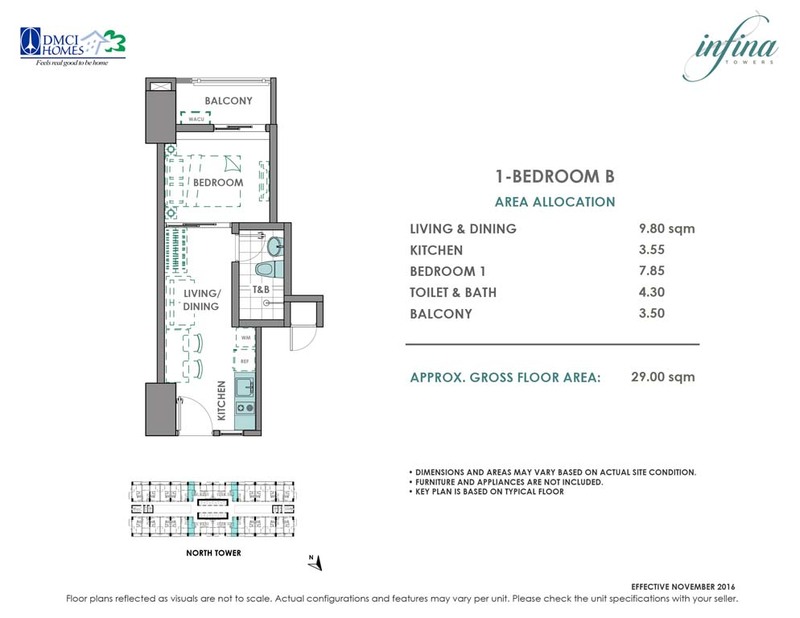 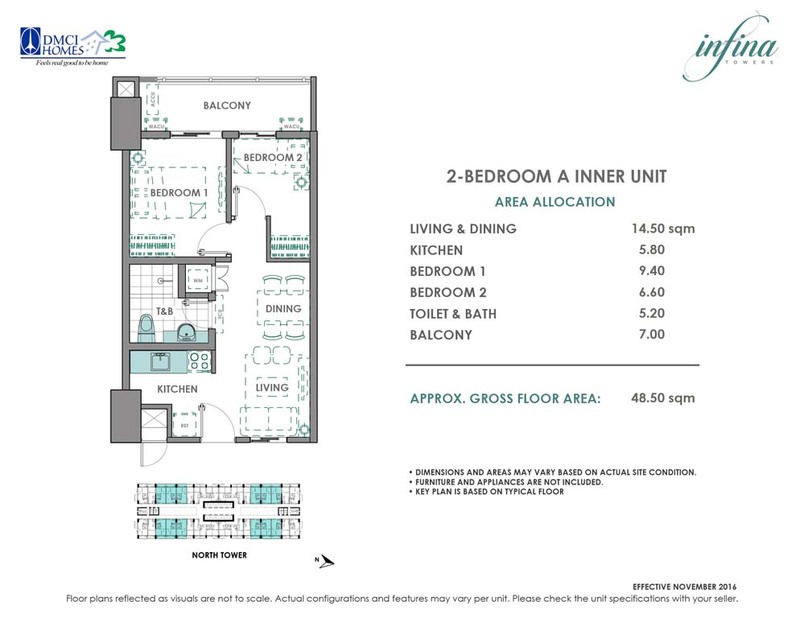 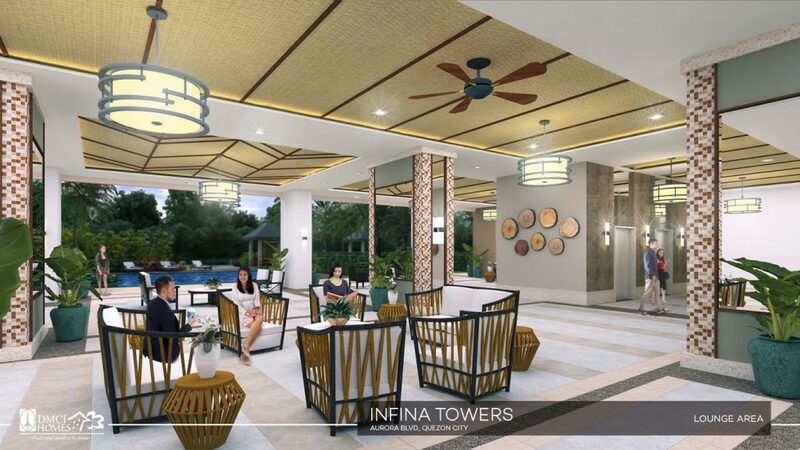 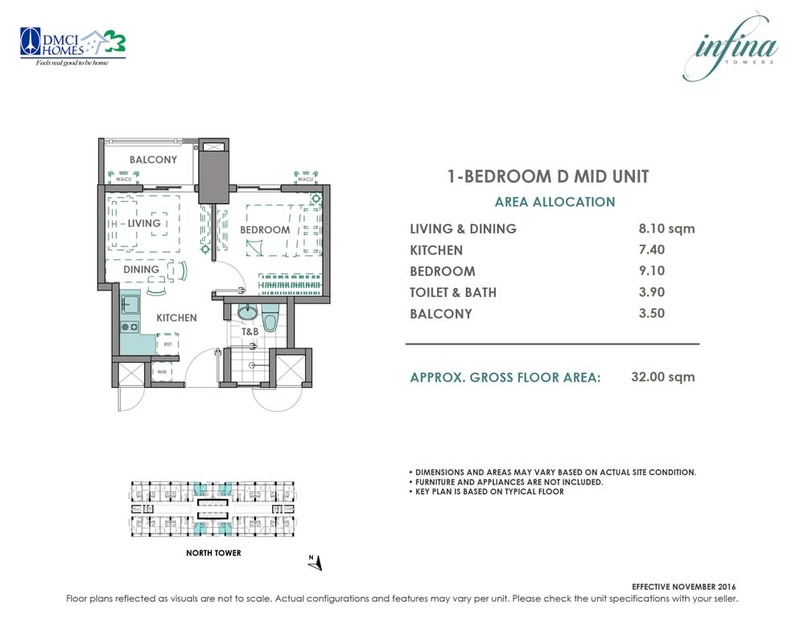 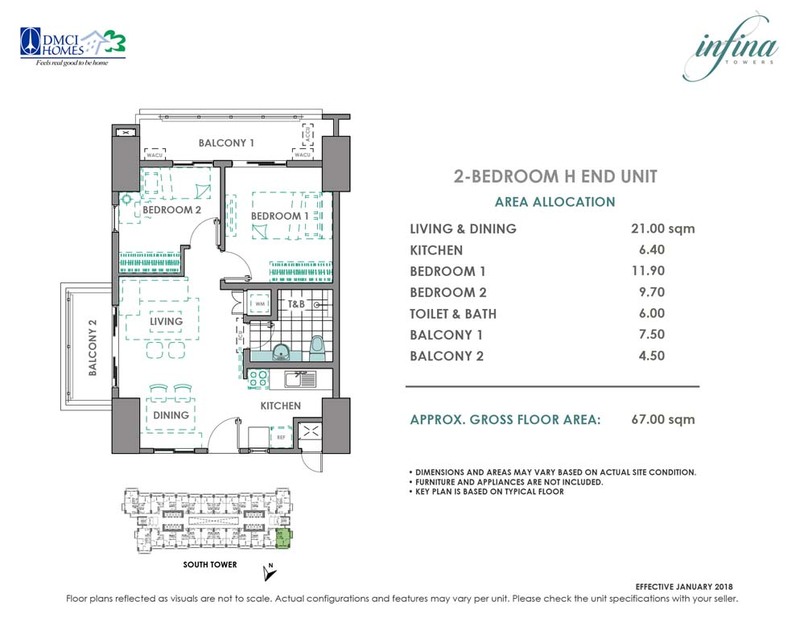 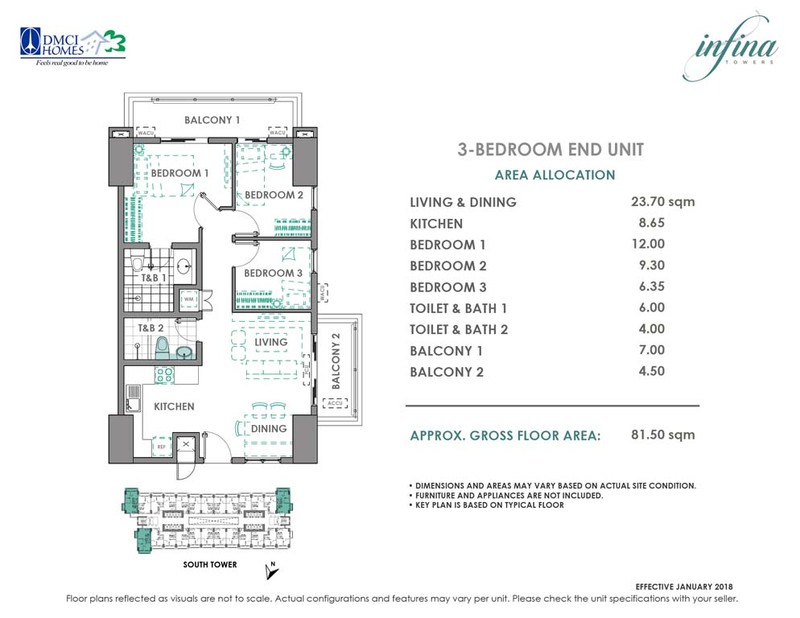 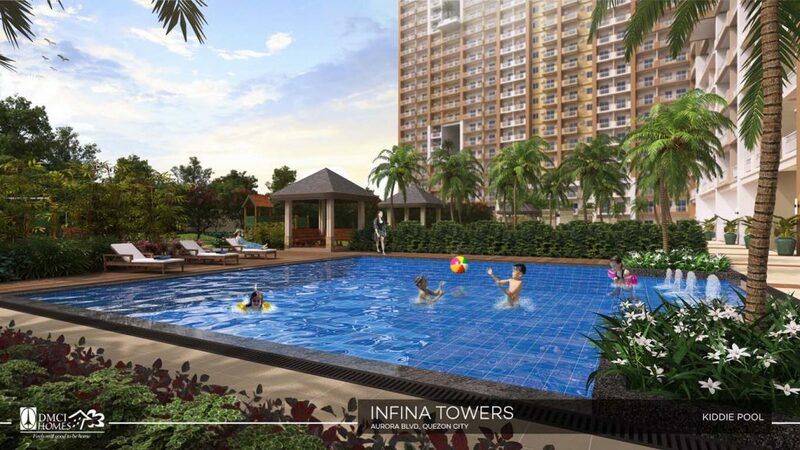 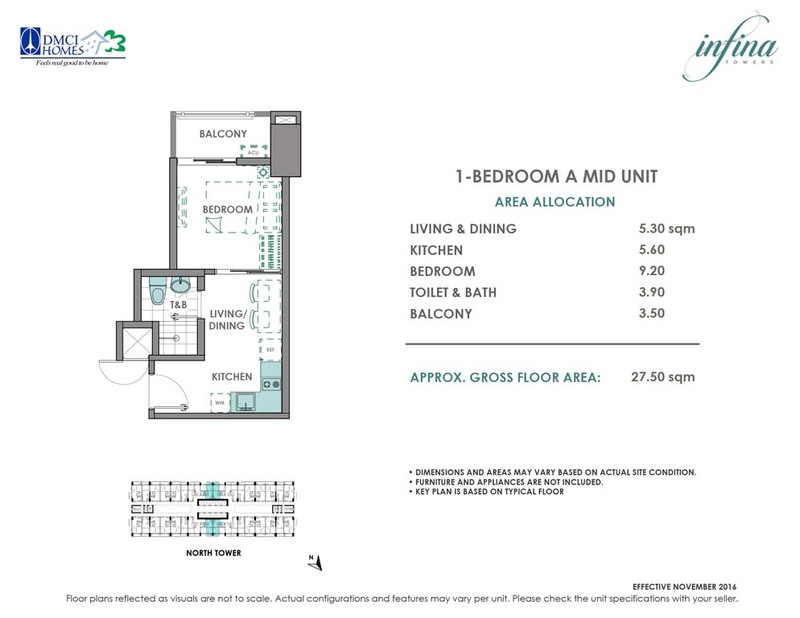 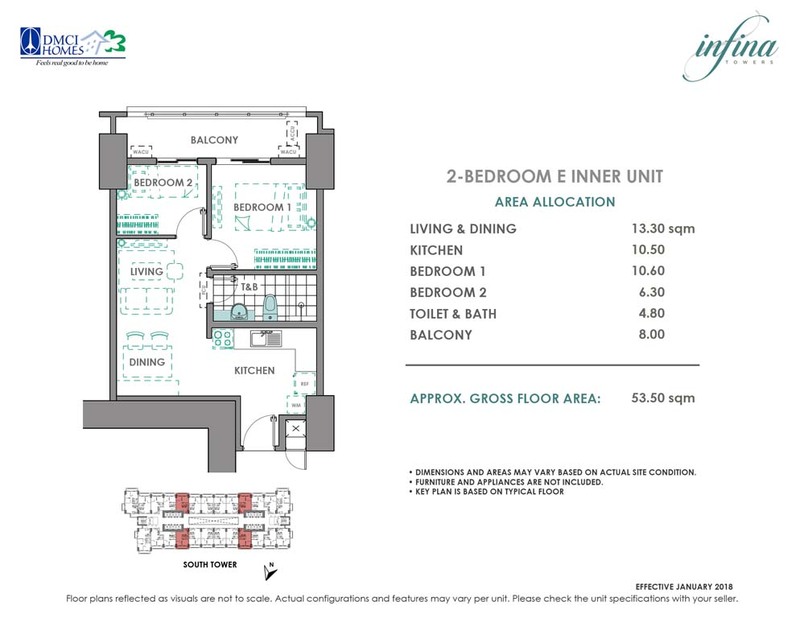 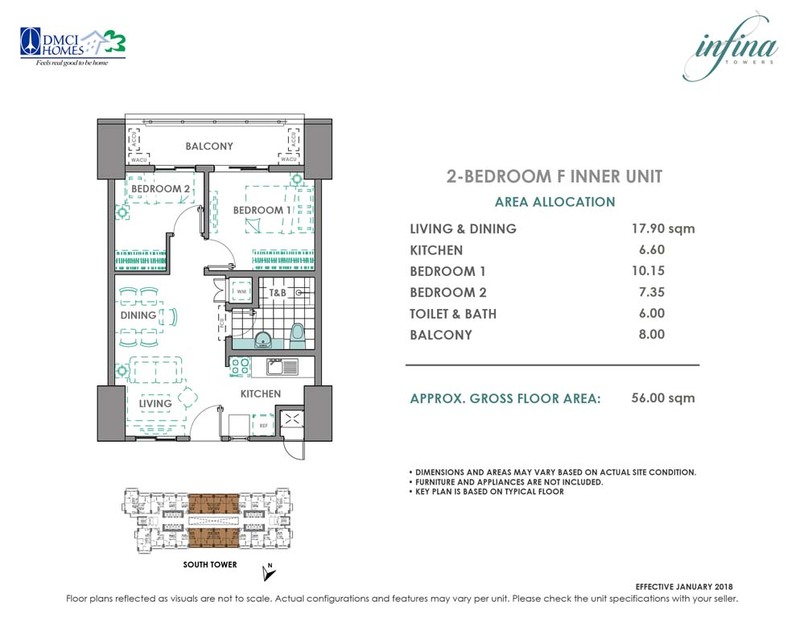 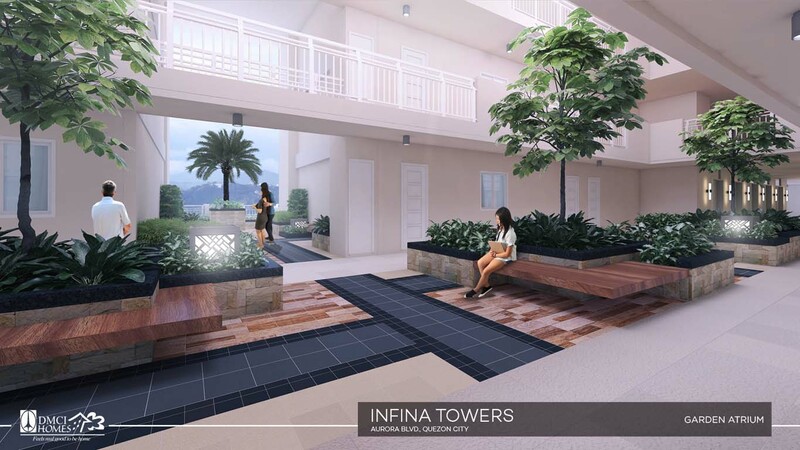 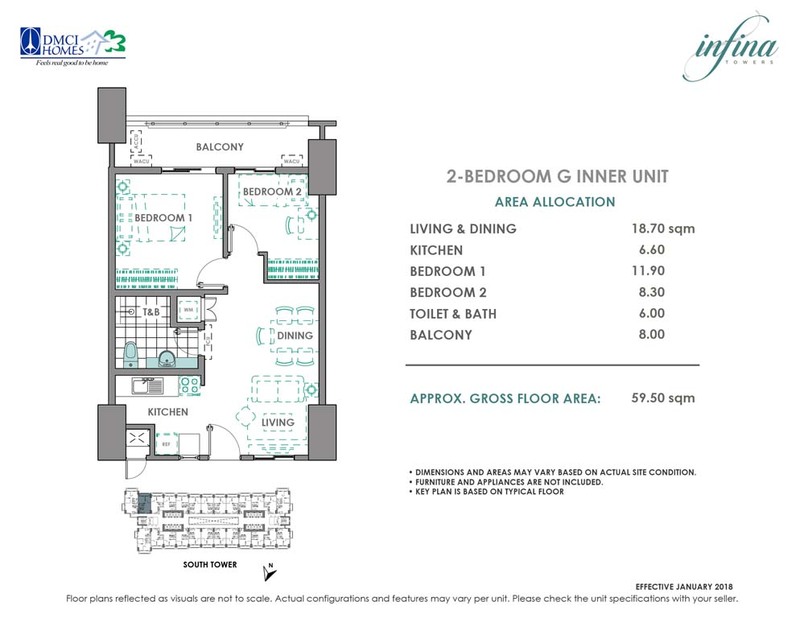 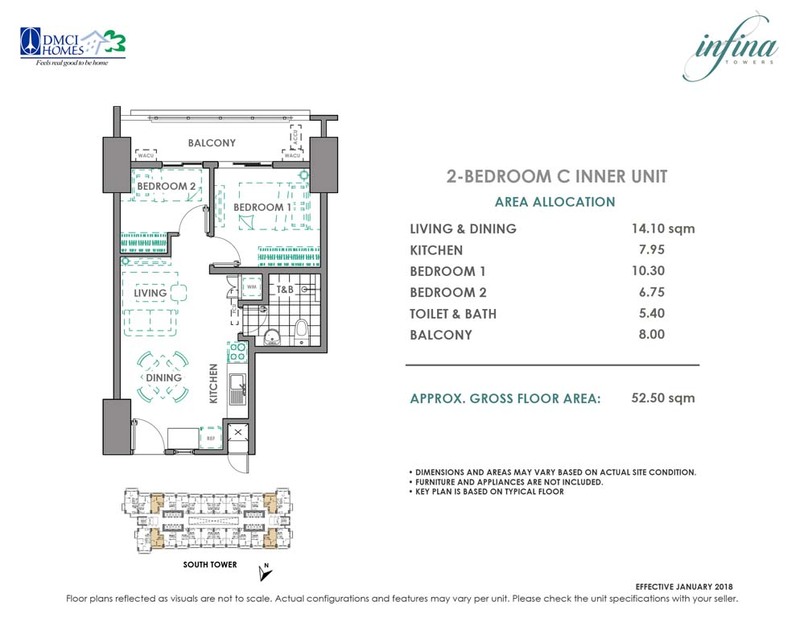 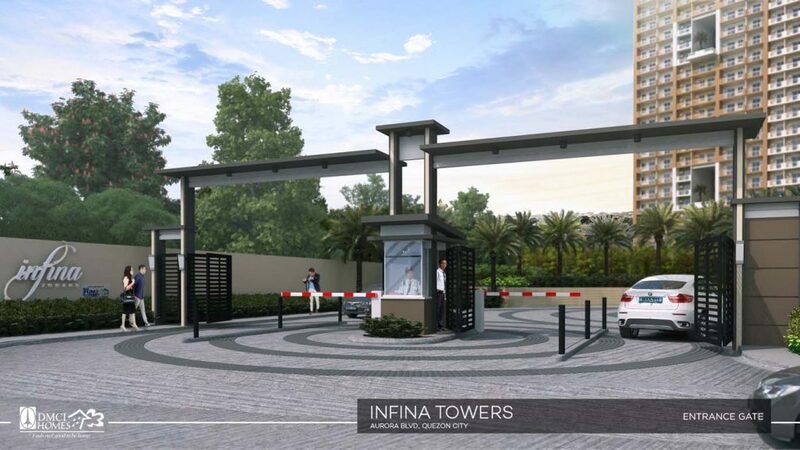 Infina Towers condo for sale by DMCI Homes offers an array of services to address the demanding lifestyle of discerning urban families – from controlled access gated entry to 24/7 security and concierge-level services.